The HW520D EncorePro is the latest generation of corded headsets from Plantronics. 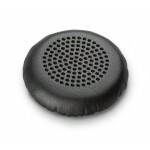 It's designed for use specifically with the USB cable and softphones - but is NOT for use with desk phones. 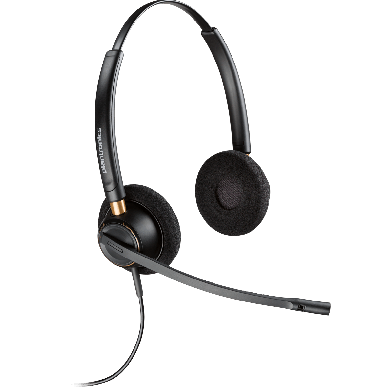 This headset cable combo keeps track of inventory & its usage and updates, PLUS, settings can be updated & locked in, en masse, via Plantronics' Manager Pro Software - all features that make it brilliant for larger operations. The DA90 cable is the clever part of the partnership. It works with Plantronics Manager Pro to give you a fully-integrated audio and asset management solution that's been specifically-designed for call centres and large corporations. IT departments will love this headset. They can see where the headset is, plus how much it's being used - and then roll out firmware updates en masse, even notifying the users. Troubleshooting can be performed remotely and the settings can be easily controlled by the user, within parameters set by the IT department, via the software. The HW500D series comes in a range of wearing styles - 510: over-the-head, one-ear; 520: over-the-head, two-ears; 530: ear hook style, 540; over-the-head, earhook AND neckband styles included. If you like the over-the-head (headband)-style, the 510 and 520 will be the most durable. 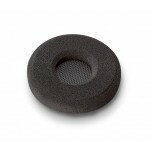 This EncorePro model is the mid-range from the hugely popular Plantronics suite of headsets. The microphone features noise-cancelling, to ensure no distracting background noises are transmitted to your callers.This is a wideband headset which means it offers the most natural-sounding voice clarity for VOIP calls. Clearly, the trackable and monitorable features that the Encore Pro Digital series offers will appeal to any IT Manager of a large organisation - but it's not just the big guys that will benefit! If your IT person is also your Office Manager, or if you have an external IT expert, you can save so much time by rolling out updates in one go. Your staff can be advised in advance of the change, so they ensure the headset is left plugged in, and firmware updates can be executed out-of-hours to minimise disruption and loss of work hours. Then, when Jimmy's headset goes walkabout - AGAIN - you can check where it was last plugged in, or where it's plugged in now. No need to rifle through every drawer and cupboard in the office any more! 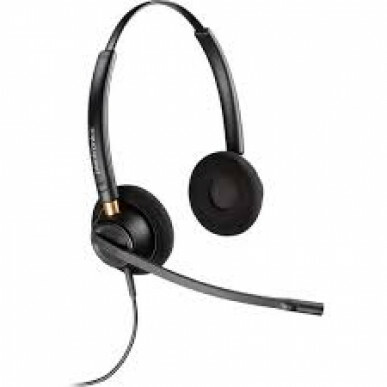 Corded headsets are pretty rare outside of call centres these days - most people prefer the freedom of a wireless headset and, starting from around $225, it's hard to say they are too expensive! A wireless headset can make you more productive - grab a quick cuppa whilst you listen to your caller, locate a file or resource whilst building more rapport - you can understand why businesses have moved away from corded headsets! As with any corded headset, with the HW500s you are connected to your computer via a cable - something that can be frustrating when wires lie across your desk and get in the way of papers, or drop down and get crushed & tangled under chair wheels. For enterprises with large volume UC rollouts, who need the ability to monitor usage and keep track of location of the headset, as well as roll-out firmware upgrades, this is a great lower cost option. The Digital HW500D series is specifically for those who need to pair up headsets for monitoring, conferencing and training requirements. The Jabra alternative is the Jabra Biz 2300 Duo, with Jabra Link 265. If you don't need the call monitoring capabilities, then the direct connect USB HW515 will do the same job with less cable hassles. If you like to hear what's going on around you, the HW510D is the one-eared version in the range. 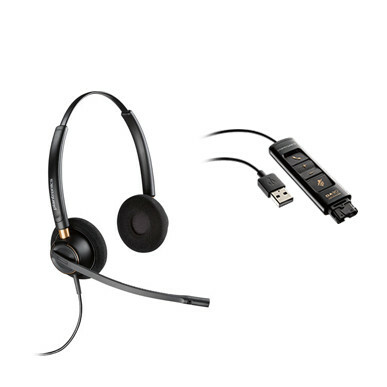 If you just need a straightforward, USB-corded headset, check out the Jabra Biz 2300 USB Series. 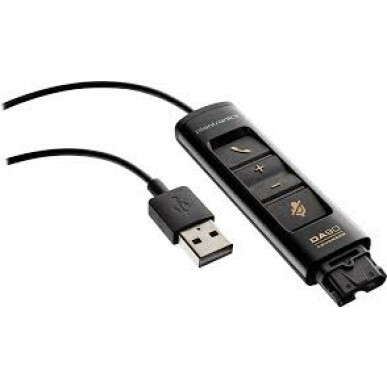 The excellent Sennheiser SC 260 USB headsets are also well worth a look. If you want the productivity, freedom and engagement that comes free-of-charge with a wireless headset, check out the Jabra Pro 930 Series and the Plantronics Savi W420, or the gorgeous Sennheiser DW Pro 2 USB.